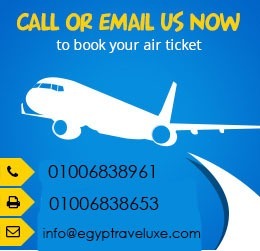 Egypt Traveluxe is about “Discovery Your Way”. No groups, No flags, No fixed dates. You can see the parts of Egypt that interest you most, on your dates, with your own driver and guide. 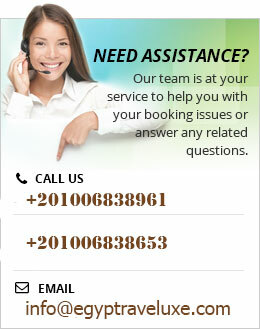 Unlike travel agencies and overseas tour operators that mostly just resell fixed tours, we work with you to create your very own unique trip. Every Egypt Traveluxe trip is designed to your interests, with 1:1 help from your own dedicated Egypt specialist, every step of the way! We’ve been building our team for over 8 years, handpicking our team of Egypt specialists, guides, drivers, and experiences throughout Egypt. As locals, we know the secret paths to stunning scenery, the hidden history, and the hidden problems — like booking elusive tickets, seats, and tables at amazing local restaurants, not those tourist hangouts or hotels group tours use. Our team serves hundreds of satisfied customers a year, winning TripAdvisor’s certificate of excellence year on year, we have many of 5 star reviews. Nahla & Ahmed founded Egypt Traveluxe the same time as Uprising in Egypt in 2011. As tour guides Nahla & Ahmed were frustrated by prescribed vanilla group tours, tourism tricks, hidden costs and detours. Nahla & Ahmed decided to start something they would be proud to put their name on, something that showed people the best of Egypt. 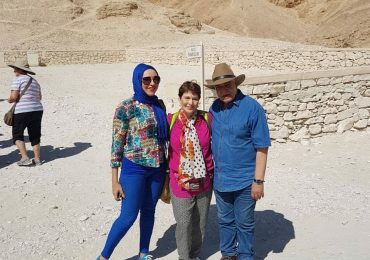 Egypt Traveluxe founders and directors Nahla & Ahmed were a guides but were frustrated that travelers only scratched the surface of Egypt. Nahla & Ahmed knew there was so much to see and experience outside the group tour experience. Back then all tours were all fixed, and travelers had zero flexibility to create a trip around their interests. Nahla & Ahmed wanted to get people off the beaten track, of the guidebook, out of sterile parks, official attractions, and beyond the typical tour routes. 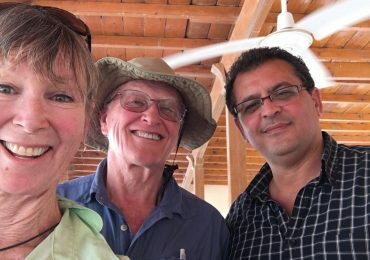 They wanted to remove detours to touristy stops , and instead take people into the countryside, to talk to the farmers, to try some authentic food at the kind of restaurants his local and overseas friends loved. Celebrities, magazines, royalty, NBA stars, US singers, even a former US president. 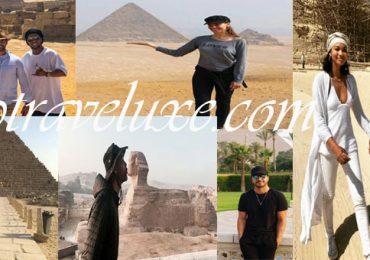 Egypt Traveluxe has been the agency of choice for the many important and famous people. When you create your trip with us, you’ll be safe in the hands of one of our travel specialists throughout your journey.